Finally New has Year started and it is a wonderful New Years like previous ones. However, it enjoys major advantage over other years because this year, we have in our hands while we have no control over the years in past or upcoming years in future. Therefore at present 2013 is everything for it because we are blessed to live it and enjoy it. Now it depends on us that we want to make it wonderful year for us or not. Soon, thiss year will also pass away like previous years but we can make 2013 a special year by giving it 100% of our efforts. When we look back then we should be able to say with proud that 2013 was our best year of life. 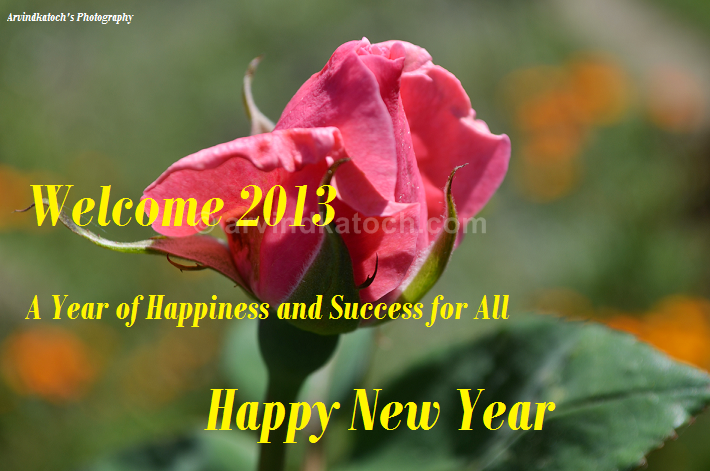 I wish everyone a great success in 2013, So have a wonderful new year.